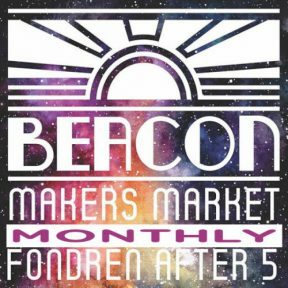 Vendors change monthly: use the link above to visit The Beacon on Facebook. Requirements call for handmade goods. All items for sale must be handcrafted by the maker or vintage (meaning 20+ years old). The market does not allow imports or resale items that are not vintage. Mississippi made, locally grown, sustainable, eco-friendly, organic, natural, exhibiting unique and original ideas/artwork, etc. is preferred All food vendors must comply with all relevant local, state & federal health regulations. Sale of alcoholic beverages is prohibited. The application process is a revolving one, open online at thebeaconsupply.com/makers-market. The deadline for each month is one week prior to the market date.